Adding to this statistic are reports that a third of all attempted burglaries are unsuccessful. This is great news! Not only does it offer us peace of mind, but it also proves just how good new locks and tighter security systems are and can be. Of course, as a locksmith we recommend updating your older locks, checking windows and outhouses and replacing or upgrading security systems to suit your needs. We don’t just say this because we’re locksmiths, we say it because it does help, and the statistics prove it! But, and there is a but, police still report that most security issues are seen when a door has been kicked in, a lock tampered with, or a door frame unhinged. So, is now the time to consider adding to your security? Adding extra locking mechanisms to complement those you already have as well as looking at new security systems on the market. Have you considered adding bolts to internal doors, (increasing security by slowing potential intruders down). Or maybe using rack bolts for securing wooden doors or multi-purpose door bolts for patio doors? Strengthening door frames. It might seem strange but there’s no point in fitting a great new lock to an old, a little bit out of sync and not perfectly fitted door frame. 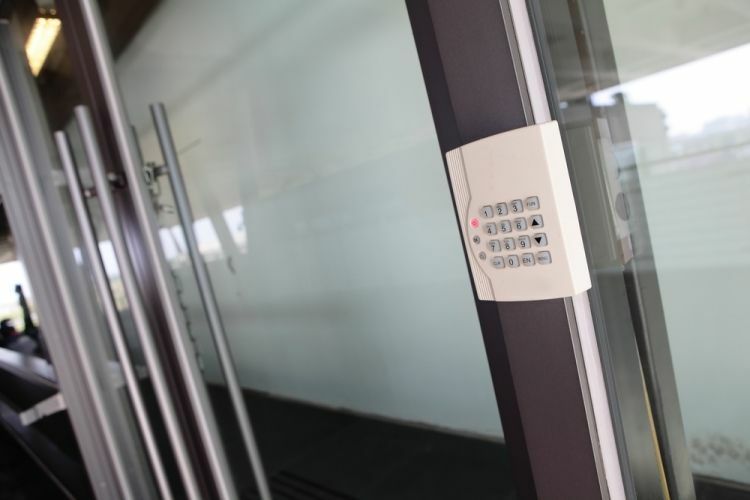 Increase your security by adding things like door viewers and door chains to your access doors. Plus, with advances in technology, there are some great digital door viewers now available to install, whether this be a live feed or simply when the doorbell is pressed. Security lights, alarm boxes, security systems as well as key locks (for storing spare keys in case of an emergency), are all products which act as great deterrents and help to provide a high level of security for you and your family. Don’t forget about window locks. Any new windows now automatically come with key-operated window locks. For older windows, there is a range of window locks and sash jammers which may be suitable. If you are thinking about upping your home security or you’re looking for a home security check, then Tyne Tees Locks can help. We provide a complete service with a full, no obligation, estimate and quotation for work and recommendations. As well as being able to repair and replace any old or damaged locks in the process. We’re on hand 24 hours a day, 7 days a week. With trusted, reviewed and fully qualified engineer,s you won’t find a more helpful, friendly family run locksmith in Newcastle. Why Locksmith Services are Still Vital in the Future? Why Use a Local Locksmith?